Like some other genera (Fieldia, Coronanthera) from the Austral/Pacific region, Depanthus grow as shrubs or small trees to 10 m or more tall. The leaves are opposite and often anisophyllous, and the plants have long-pedunculate, few-flowered inflorescences. 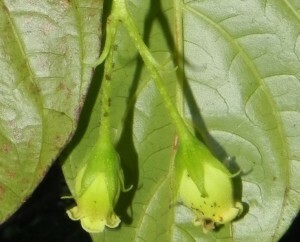 There are two species, D. pubescens and D. glaber. The two species grow in the French territory of New Caledonia, a complex of islands north of New Zealand and East of NE Australia. Their habitat is montane forests.